Fitzrovia Neighbourhood Association is working with other organisations in Camden to create a “Tree of Life” as part of the British Museum’s El Dorado exhibition later this year. 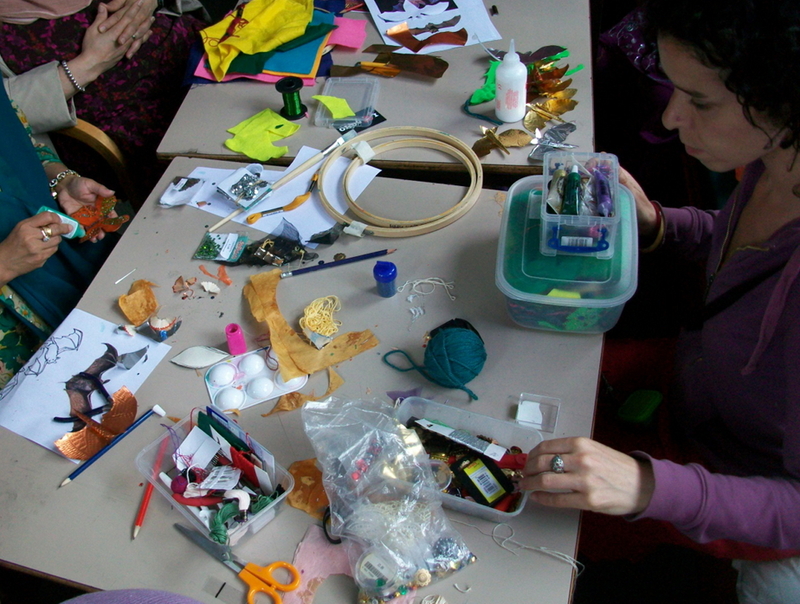 Led by tutors from the Mary Ward Centre, members of the Fitzrovia Women’s Group are producing art and craftworks as part of a collaborative art project. The Fitzrovia Neighbourhood Association provides arts and cultural activities as part of its community development work, to help women of south Asian heritage build self-confidence and be better integrated into British life. Fitzrovia Neighbourhood Association is a regular contributor to art and culture at the British Museum and delivers a range of charitable activities. This entry was posted in Community Development, Culture and tagged art, Asia, British Museum, Culture, Fitzrovia, London, Mary Ward Centre. Bookmark the permalink.